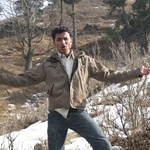 I work on performance basis it means that you just need to pay when you will see result.I have 3.2 experience in SEO. I had been working in SEO company for 3.2 years and now working...Read moreI work on performance basis it means that you just need to pay when you will see result.I have 3.2 experience in SEO. I had been working in SEO company for 3.2 years and now working as freelancer. Summary: I have 3.2 years of experience working in SEO (On-page and off-page) in a company and now I am working as freelancer. I am mentioning few of projects here. Description: I have worked there as team leader for link building and SEO projects. I am providing link building services from last one year. and got following results. Will work with him in the future. Good links and an improvement in rankings. However sometimes the text we provided was used for too many atricals. Nevertheless a very good result.